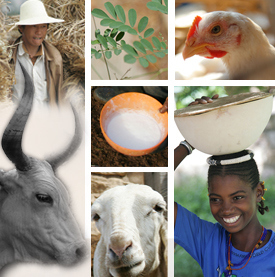 On 18 and 19 November 2010, the Fodder Adoption Project organized a mini-symposium on feed in smallholder systems as part of the week-long discussions. On the second day of the symposium, discussions focused on innovation systems principles and their application in livestock and feed research for development. The aim was to examine if such approaches are ‘the’ way forward, what are some constraints in implementing them, are they sustainable? and what are the next steps in this area? integrates the perspectives, knowledge and actions of different stakeholders around a common theme. integrates the learning by stakeholders from working together. She also highlighted some associated issues: that there is no ‘fixed’ approach, that the transaction costs (in time especially …) can be high, the difficulties encountered in identifying measurable results and impact (using the usual approaches), that success requires unusual capacities (of a standard research organisation), there are questions of sustainability (who keeps such initiatives going? ), and that it is not a panacea for all locations and situations. Prepare a text box to describe new innovation systems principles to be included in a new livestock value chain proposal explaining its benefits, and possible challenges. Tags: innovation, Laosworkshop. Bookmark the permalink.